Markets! They provide a multitude of opportunities for photographers to capture individual images the world over and Panjim market here in Goa is no different. With the hustle and bustle of the environment, it is possible to go about the business of capturing images whilst the locals are busy with their daily lives. 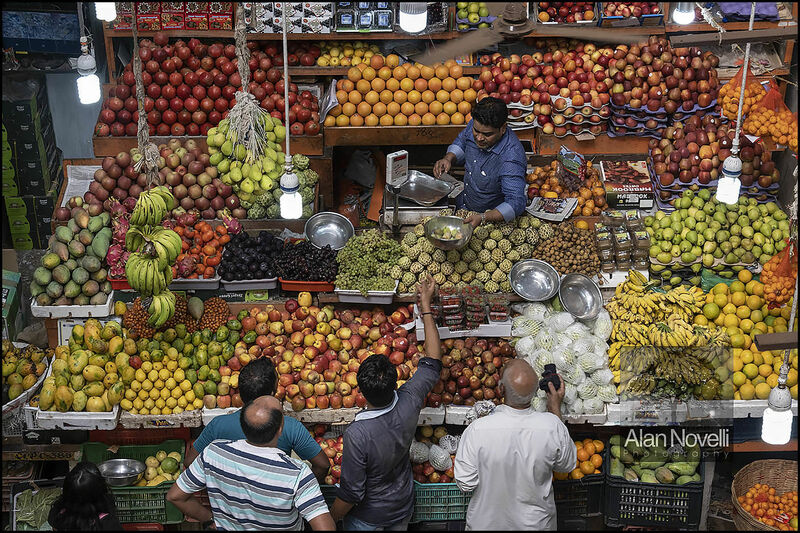 Here I selected a high angle overlooking this fruit stall to show the full range of produce on offer.